George Akume, senator representing Benue north-west, says the farmers-herders crisis will not affect the chances of President Muhammadu Buhari in the state during the 2019 general election. 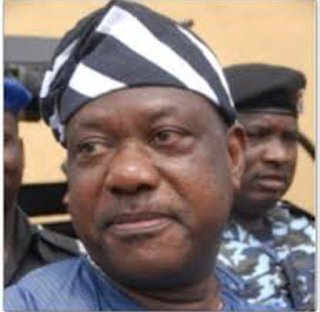 Akume said this on Friday after meeting with the president alongside some Benue All Progressives Congress (APC) members. Adams Oshiomhole, APC national chairman; Emmanuel Jime, Benue APC governorship candidate; and Audu Ogbeh, minister of agriculture, were among those at the meeting. “When you talk of farmers-herders clash, have you heard of farmers-herders clash in Benue again? No. We know those who were behind that. Government were behind that through the livestock guards, they knew what was going on,” the senator said. He said the crisis is now a thing of the past, adding that Buhari has worked tirelessly to turn around the fortunes of the country. “When you talk of security, Boko Haram had taken over virtually the whole of Borno and Yobe states. That is different today,” he said.